Sons in law - Jason Gordon, Barry Dicker and Daniel Unowsky. After graduation, I went to MU and then onto school to become a radiology technologist. I married Greg Perlstein in 1975, had 2 wonderful daughters Sara and Emily. Greg and I divorced in 1983 but always remained the best of friends. Greg passed away in 2012 after a battle with lung cancer. His passing left a huge void for our family. During the next 10 years, I furthered my education and became a nuclear medicine technolgoist, CT technologist and registered ultrasonographer. I completed my Bachelors in Health Care and Administration and worked at Overland Park Regional Medical Center as the Assistant Director of Radiology until 1993. I changed careers and became a Clinical Research Coordinator working for RxCCI, Radiant Research and a private urologist. I am currently working part time at Clinical Research Consultants as a Clinical Research Coordinator. I remarried Elliott Goldstein in 1993 whom I met at the synagogue. Elliott also graduated from Southwest High School a few years before us! He received a law degree from UMKC. Elliott has owned a company called All Packaging Company which keeps him very busy along with an active golf schedule, many synagogue and community responsibilities, family and grandchildren. My mother, Sylvia Feder, of blessed memory, lived with us for 7 years before passing away in 2003. I was her primary caregiven and wouldn't have traded that time for anything. I am very close with our 4 daughters, Sara Gordon, Emily Perlstein, Amy Goldstein and Keri Unowsky. Sara works in the family business as an HR specialist and customer service representative wearing many hats in addition being a wonderful mom to Bennett and Lucy. Emily has her masters in social work specializing in education, but is currently pursuing new avenues. Amy works as a consultant and grant writer for Health Care Collaborative and is a wife and mother of Gabe and Jacob. Keri practices law as the senior Vice President and counsel of First Tennessee Bank of Memphis and is the wife and mother of Sarah and Micah. I am proud of all of our girls and their respective husbands, Jason, Barry and Dan. Together we have 6 beautiful grandchildren, Sarah (17) Micah (14) Gabe (13), Bennett (10), Jacob (9) and Lucy (8). It is my greatest joy and pleasure to be a Grandma. I love to cook (we keep a Kosher home), host holidays & family gatherings for friends and family, walk and spend time with my grandchildren. I am also a volunteer cook for TLC Kosher Meals on Wheels. I love to garden and am a novice landscaper. Life is good. 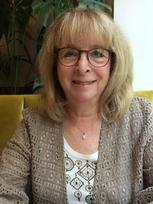 Linda Feder Goldstein updated profile. View. Linda Feder Goldstein changed profile picture. Linda Feder Goldstein has a birthday today. New comment added. Linda Feder Goldstein has left an In Memory comment for Cheryl Swope Reed. I’m very sorry to hear about Cheryl’s passing. I remember her as being a very sweet and happy woman. May her memory be a blessing to all who knew her. Linda Feder Goldstein has a birthday today.